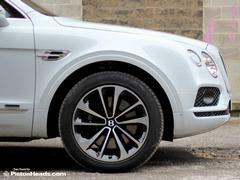 The crunch of gravel beneath low-profile tyres on diamond-turned 21-inch wheels is, let's face it, as 4x4 as most Bentaygas will go. To be expected outside the stereotyped mock tudor mansion. Not beside a Portakabin at a pay-and-play off-road centre. 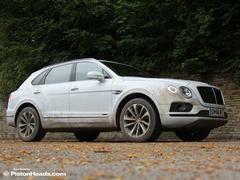 I'm guessing our contact at Parkwood Off-Road centre hasn't seen many Bentaygas cross his threshold. Given the maze of tracks, water splashes and rock crawls, I suggest a guided tour might be sensible before going solo. A bit of mud on the £4,500 Ice paint is okay, scratches from branches less so. He's more worried about his overalls against the Mulliner 'Brunel' leather but I assure him it's fine and we head off into the woods. What is there to prove in this exercise? Well, Bentley has you covered if you want to go fly-fishing in Scotland, posh picnicking at the polo or flying your falcon in Dubai. But can it cope with a bit of winching in West Yorkshire, festival camping outside Daventry or a cheeky Greggs on the M1? Looming over all of this is the biggest challenge - can anyone really handle the shame of parking a Bentley beside the diesel pump? 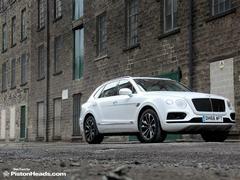 Bentayga, prepare for your toughest test yet! With boasts of over 600 miles between fuel stops, this indignity is one you won't have to endure too often. There's an irony here though, given turning to the dark side in fuel terms was inspired by an attempt to offset the heroically excessive CO2 outputs of the W12 and old-school Mulsanne's V8. In the meantime, of course, diesel has gone from saint to sinner and in environmental terms a V8 diesel - even a fancy one with all the latest emissions tech - is probably now worse than a 12-cylinder chucking out 292g/km. 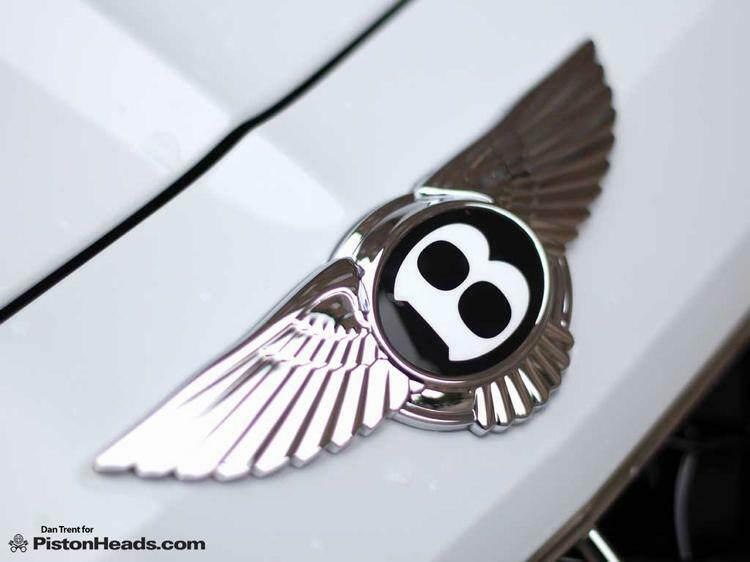 Not that anyone ever bought a Bentley to further their eco-friendly virtue signalling of course, the sales pitch in essence 'less time spent in filling stations with the great unwashed'. There's more of interest than that of course, not least the sub-five 0-62 time, 435hp output, the 48V electrical system or the beefy active anti-roll and other chassis systems it enables. The engine is the key enabler though, the 4.0-litre V8's inboard sequential turbos assisted by a third electrically driven compressor that can supply boost before the exhaust-driven ones have even spooled up. Hearing it do so by tickling the throttle at standstill against a slight incline is pretty cool, the incredible complexity of this engine offering the kind of torque-rich power delivery Bentley drivers have become accustomed to in the W12 era. Minus the crippling fuel consumption. 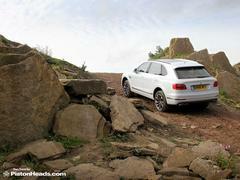 OK, it's an Audi SQ7 in tweed. But gazing over the beautifully finished American Red Gum tree 'Liquid Amber' veneer (£1,445 extra, plus additional trimmings) from the sumptuously upholstered seats, you won't be dwelling on that for too long. 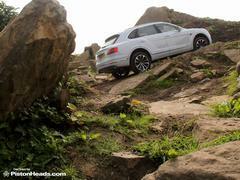 Off-road ability might not be hugely relevant. But, given it's meant to be the next step beyond Range Rover, Bentley couldn't sell it without a nod to a bit of axle-twisting cred. This was demonstrated to us on the launch with a carefully contrived off-road assault course designed to dangle wheels in the air without actually challenging the car too hard. 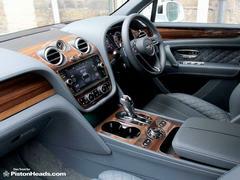 This time it'll be me, Parkwood's darker corners and Bentley's take on the JLR Terrain Response dial. Which is the same in all but name and adds £4,955 to the price. This gets you four off-road modes in addition to the four road settings, ground clearance in the most extreme up to 245mm against a Range Rover's 303mm. If that 58mm is the difference between a clean passage and scraping the underside I can at least take heart that the package includes "composite reinforced" guards for undertray, sills and fuel tank and a proper metal sump guard. So I'm sorted for a bit of rock crawling. Water splashes? I'd best be a little more careful, given how the 500mm wading depth compares with the 900mm a Range Rover can wallow in. Nor is there any low-range. 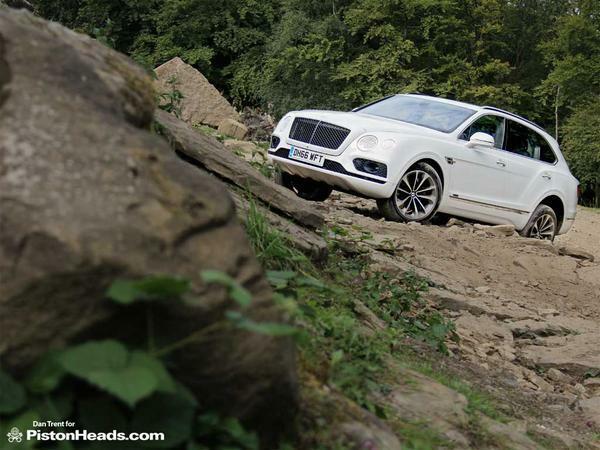 Accordingly it doesn't take much more than a little nursery slope action to have the Bentayga in a bit of a sweat. I don't suffer the indignity of needing a winch but the wheels scrabble on a loose and rocky climb and it takes a couple of attempts to haul itself out of a fairly shallow mudhole. 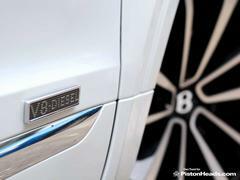 As much as a Chiron's 261mph top speed will be an abstract notion to most Bugatti owners, this won't actually matter. 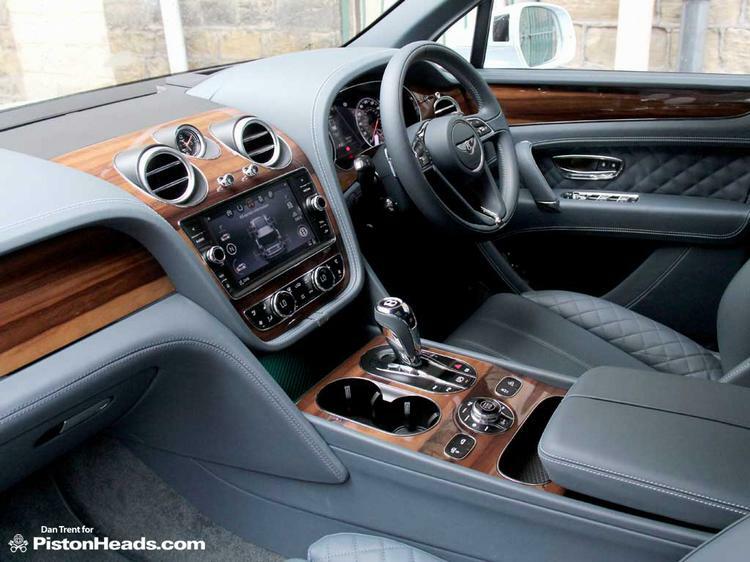 Credibility counts though and it doesn't take much time at Parkwood to seal the Range Rover's dominance in this regard, even with the mitigation of the Bentley being on street rubber. 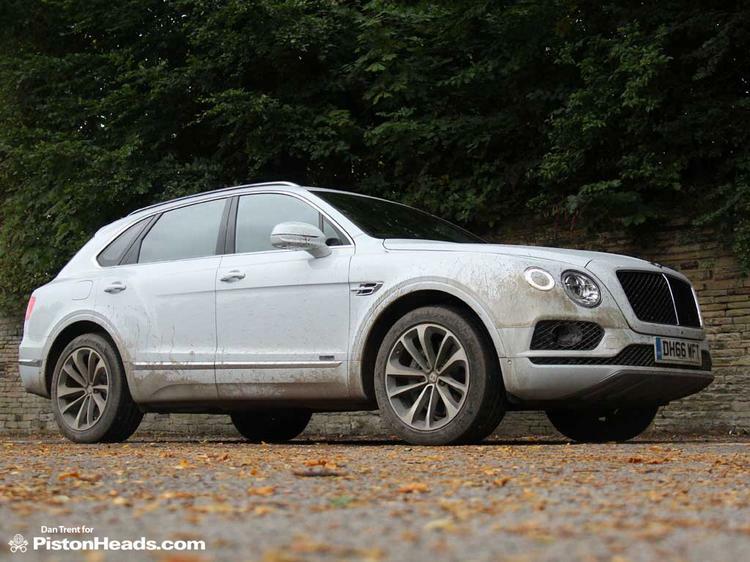 Back on terra firma, driving a mud-splattered Bentayga has brief amusement value but, in all honesty, I feel a bit silly and soon have it cleaned off. There is, after all, a wedding to go to. A festival wedding with glamping in a field no less - an event seemingly perfect for a big white Bentley. Assuming you don't have the kind of friends who point and laugh at a car like this. And you're not the type of tight-wad who declines the offer to spend several hundred quid on a luxury yurt and instead drags a threadbare Vango out of the boot. The comedy mismatch between vehicle and accommodation is not lost on the other guests, celebrity status ensured by the fact everyone assumed the big white Bentley was carrying the bride onto the site. 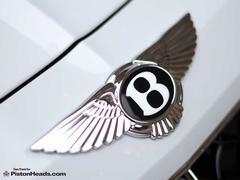 After the Parkwood experience the combination of a grassy field, heavy dew and a slight incline have me a little nervous the following morning, conscious there's nothing that would cheer hungover revellers more than the sight of a big white Bentley being towed out by a tractor. With 664lb ft from just 1,000rpm I'm conscious any more than a tickle of throttle would likely have me beached but, thankfully, it navigates this particular off-road challenge without difficulty. And for the waft home some sense can be made of the package. 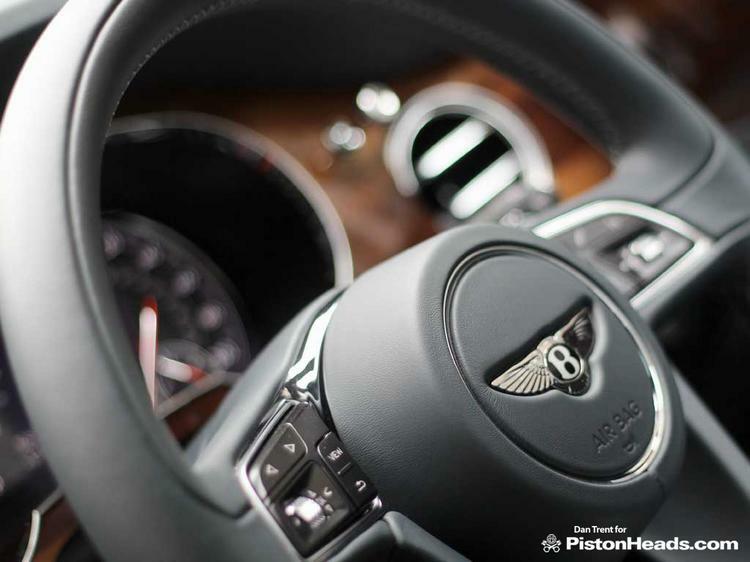 With the 'best of everything' Bentley setting selected on the mode dial, the Bentayga puts demonstrable ground between it and the Range Rover. The latter's low beltline, 'command' driving position and more traditional SUV handling are actually a rather lovely combination on a twisty rural road, albeit only up to a certain speed. Whether you would - or should - be going any faster in a car of this size and weight is a moot point. But where Range Rover's big, slim-rimmed wheel has you in the mood for wafting, the Bentayga's chunky, smaller one has a weight and alertness to it that the clever anti-roll and variable damping can more than deliver on. And the sheer effortlessness of the power delivery is mesmerising, the main sensation that of being carried along on a rush of boost present from the first millimetre of throttle movement. 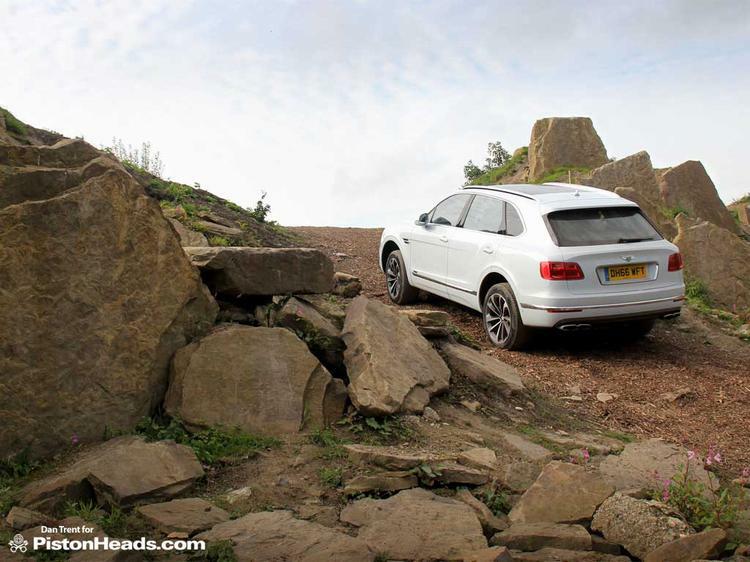 This is the kind of cross-country running the Bentayga excels at. And can keep up all day. It's no less physically attractive. 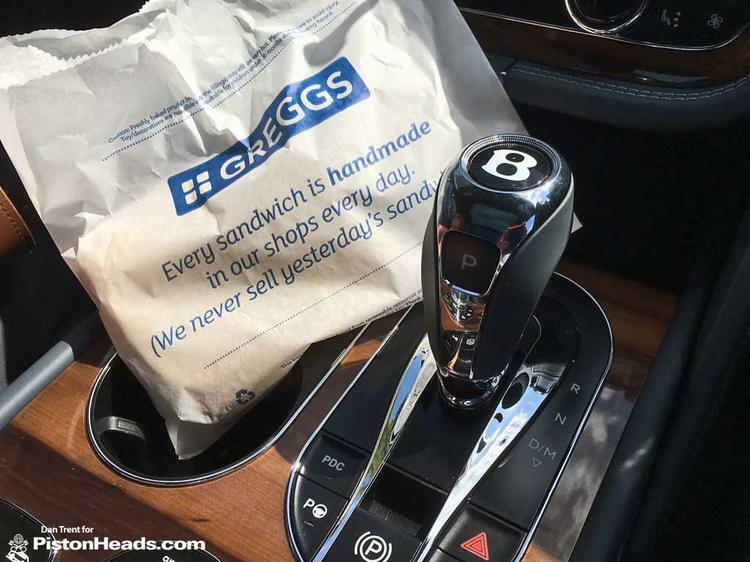 But as a package it makes some sort of sense, the range putting more distance between you and that opportunist steak bake when you stop for a fill-up. Which is good. Because getting pastry crumbs out of the quilting is an absolute nightmare. Someone is seriously taking the p**s with those extras. Spending more than 130 large on a land yacht like this, I would expect all that gear to be standard. Not really - people buy these things because they are expensive - got to have some way to show the proles how affluent you are. Surely a strong entry for cost of options as percentage of car? 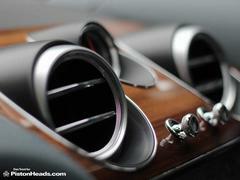 Is it just me or does that interior already look quite dated, maybe the the colour choices?